Loggerhead sea turtles are among the marine creatures vulnerable to seismic testing for gas and oil, an activity that will likely increase if the SECURE Energy Act passes. When you think of pollution harming whales and dolphins, you’re probably picturing them coated in oil or choking on plastic trash. But noise pollution can also endanger marine mammals. The cacophony produced by seismic air guns used for oil and gas exploration is powerful enough to deafen nearby whales and can interfere with their ability to find food and communicate over hundreds of thousands of square miles of the ocean. The disruption from seismic testing happens on a massive scale. A recent assessment of proposed oil and gas exploration activities in the Gulf of Mexico, for example, found that the testing booms would cause some 31.9 million incidents of injury or harassment of marine mammals. Congress is currently considering legislation that would crank up the levels of noise and chemical pollution faced by ocean wildlife—and that’s just one aspect of the environmental damage the bill would do. The SECURE Energy Act (“Strengthening the Economy with Critical Untapped Resources to Expand American Energy,” or H.R. 4239) threatens to gut core provisions of the Marine Mammal Protection Act in order to fast-track seismic airgun surveys and other industrial activities. “At a time when our oceans are already showing the stresses of climate change, it just doesn't make sense to harm whales, dolphins, and other ocean wildlife in service of drilling for more oil we can't afford to burn if we're going to avoid the worst harms from climate change," said Steve Mashuda, an Earthjustice attorney who works on marine mammal protection. Seismic airgun testing has the potential to injure thousands of whales and dolphins. The SECURE Energy Act would also undo President Obama’s withdrawal of most of the Arctic Ocean and important ecological areas in the Atlantic from any future oil and gas leasing. To safeguard these waters, Obama used his executive authority under the Outer Continental Shelf Lands Act. This past spring, President Trump attempted to reverse these protective measures with an executive order of his own. Earthjustice immediately filed a lawsuit in response, and court proceedings are still underway. The SECURE Energy Act seeks to eliminate the president’s authority under the Outer Continental Shelf Lands Act to withdraw offshore areas from consideration for oil and gas leasing. This means that if Trump succeeded in undoing Obama’s action, no future president would ever be able to repeat the protective measures. The bill would also eliminate long-standing presidential authority under the Antiquities Act to establish marine national monuments. Past presidents have used this authority to designate Hawai’i’s Papahānaumokuākea Marine National Monument. The monument protects an extensive trove of coral reefs that supports 7,000 marine species and serves as important habitat for the threatened green sea turtle, the endangered Hawaiian monk seal, 22 species of seabirds and countless other creatures yet to be discovered. 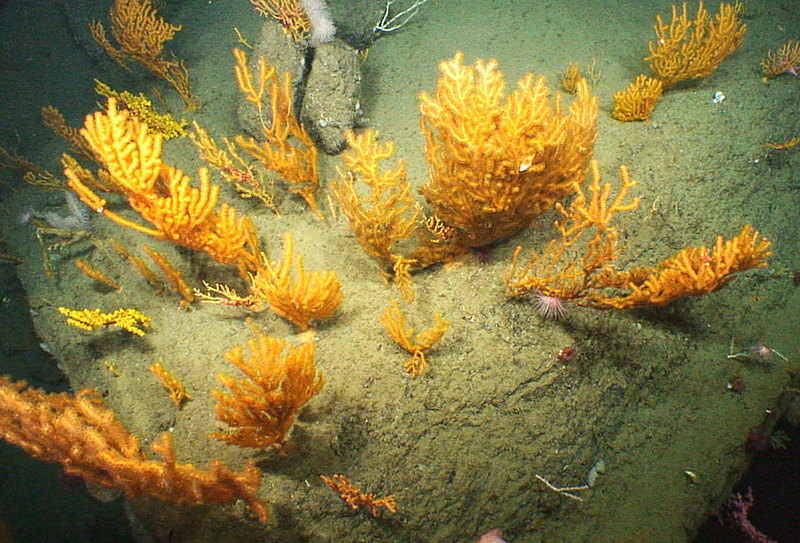 Another marine monument, Northeast Canyons and Seamounts, safeguards cold-water corals and is known as the “Serengeti of the Sea” for astonding variety of whales, sharks, fish, and wildlife it sheltersin Atlantic waters. The SECURE Energy Act contains other environmental rollbacks, too – all of which appear designed to remove anything standing between fossil fuel companies and the oil contained in public lands or offshore territories. A particularly egregious provision would transfer authority to issue and enforce drilling plans—including drilling and well permits—on federal lands to states, and to defer to states’ fracking regulations. For the most part, states have not committed to conducting their operations in a balanced and transparent manner given that they have a greater financial incentive than the federal government to drive development, regardless of the impacts. This provision effectively eliminates the opportunity for public input and removes commitments to ensure transparency during the oil and gas permitting process, while exposing states to significant and costly liability for clean-up and reclamation. Another provision attacks existing protections for sensitive Arctic areas and imperiled species in the National Petroleum Reserve-Alaska. It mandates a review of the current management plan in order to make currently protected areas eligible for oil and gas leasing. The current plan shields some 13 million acres of special conservation areas from development. The bill’s other dreadful details are in this letter to the House Natural Resources Committee. For the sake of the marine mammals harmed by seismic testing and the creatures we don’t even know exist yet in our protected monuments, and for the sake of people who are currently impacted by climate change and the generations more to come, please join us in resisting this terrible bill. Take Action! Contact your representative today and tell them to oppose the SECURE Act. Part of the Policy & Legislation team in Washington, D.C., Marissa's work covers oil and gas development, federal clean energy policies, and the Arctic. She grew up in Minnesota, where her passion for environmental justice was sparked in high school during her participation in a grassroots-led fight to stop a tire burning plant from being built near her hometown.